The Chinese Australian Services Society Co-operative (CASS) is a social service provider to migrants in Australia. 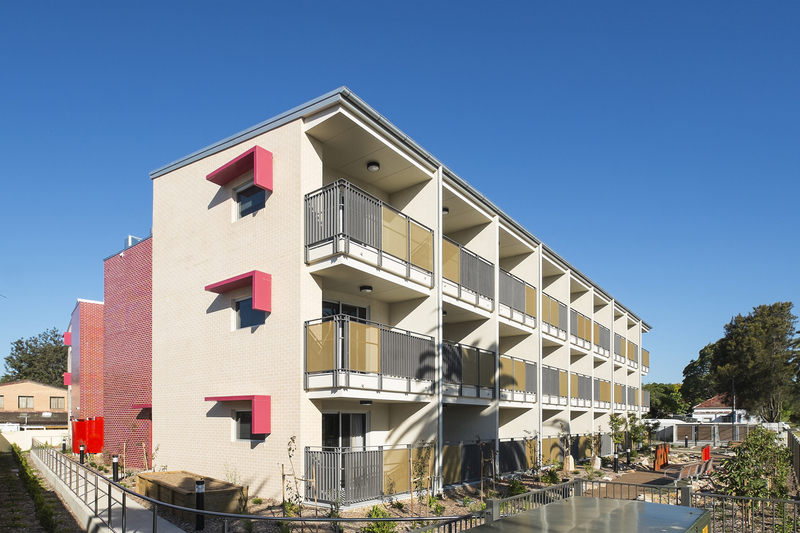 CASS commissioned the new 63 bed Residential Aged Care Facility (RACF) as part of a major upgrade of their service buildings. The 5 stage development will also include a new childcare centre, community hall, administration office and auxillary services. The RACF building is set across 3 floors, above a basement car park. The U-shape of its footprint defines a private north-facing courtyard garden for residents, away from the street. The western façade fronts Fifth Avenue as the primary elevation and is well articulated with deep verandas and balconies off all rooms. The materials are simple and contemporary, mixing the bold colour of the red glazed bricks with light rendered walls and perforated anodised aluminium balustrade. Ecologically Sustainable Development initiatives include solar hot water, louvre windows for ventilation and generous glazing to capture sunlight.